For 12,000 years humans have been nurturing and cultivating seeds. It has, in part, formed the backbone of our civilization. The deep concern is that at the present time, approximately 94% of our seed varieties have been lost and many more are nearing extinction. In the first half of the 20th century, seeds were overwhelmingly in the hands of farmer and public sector plant breeders. In less than five decades, a handful of multinational corporations have engineered a corporate enclosure of the first link in the food chain, by using intellectual property laws to commodify the world seed supply. The deep belief of Totem is that seeds and stories belong to the people. We honour seeds for their vitality, but most importantly, we honour them for their essential place in our world. Many seeds have profound stories attached to them and to their cultivation. We honour our seeds and stories as part of the great human need to share and to interconnect. Sharing a story opens the heart and finds commonality in our shared human experience. 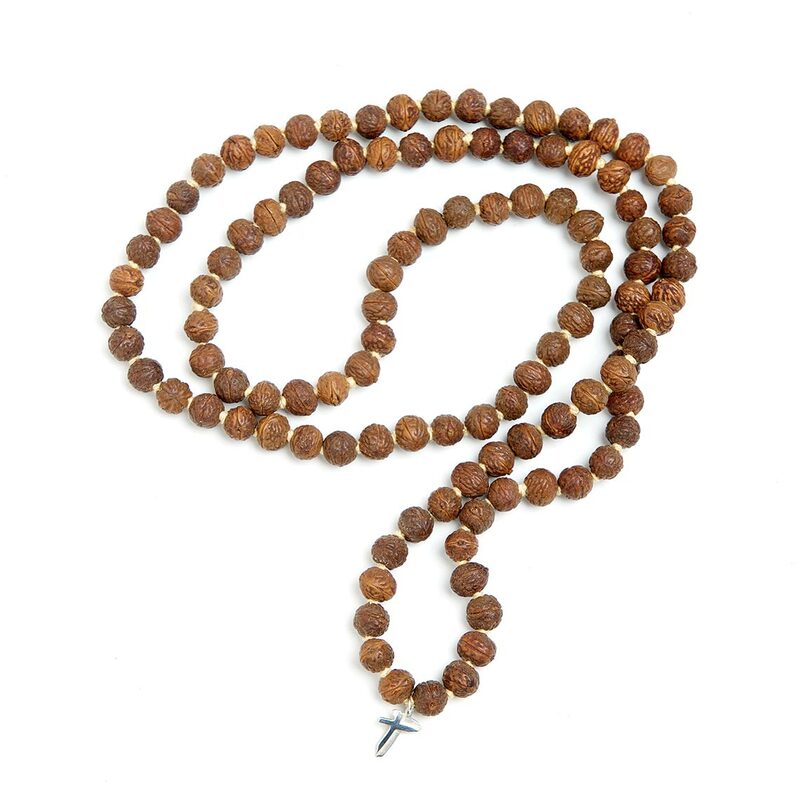 Totem Sacred Seeds necklaces are pieces made of seeds which are considered sacred in many parts of the world, such as Lotus, Rudracksha, Bodhi and Tulsi. In using sacred seeds, we hope to challenge people’s perception about what is precious as well as enlightening people about the precarious situation surrounding this valuable and essential commodity. Each Sacred Seed necklace, tagged with a recycled silver ‘T’ hallmarked here in London, is presented in a handmade Lotka box within an organic cotton drawstring bag. Enclosed is a story and history of the seed used in that particular necklace, and a flower seed paper allowing the recipient to grow their own wildflowers. Our seeds are sourced from a locally owned, sustainable, organic plantation in Indonesia. Legend has it that the Hindu god, Lord Shiva, contemplated the suffering of man and in his great compassion, he shed tears which, when they touched the earth, grew into Rudraksha trees. The seeds are considered sacred in many parts of the world, including the Indian subcontinent, Indonesia and Malaysia. 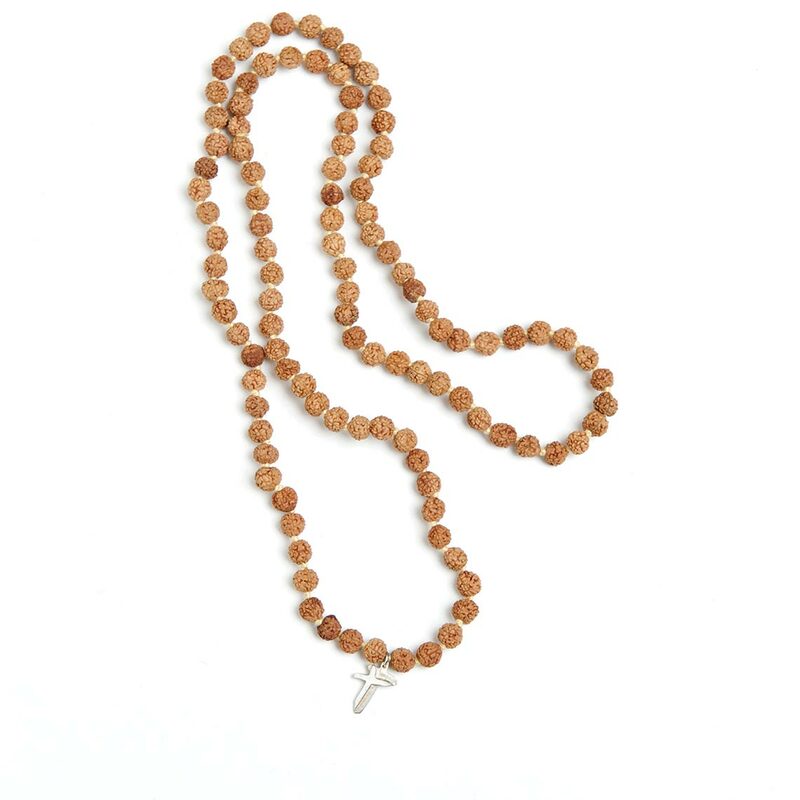 They are worn by priests and monks for ceremony and are used as prayer beads. They are said to possess mystical and divine properties, including energising the body and protecting the wearer from negativity. 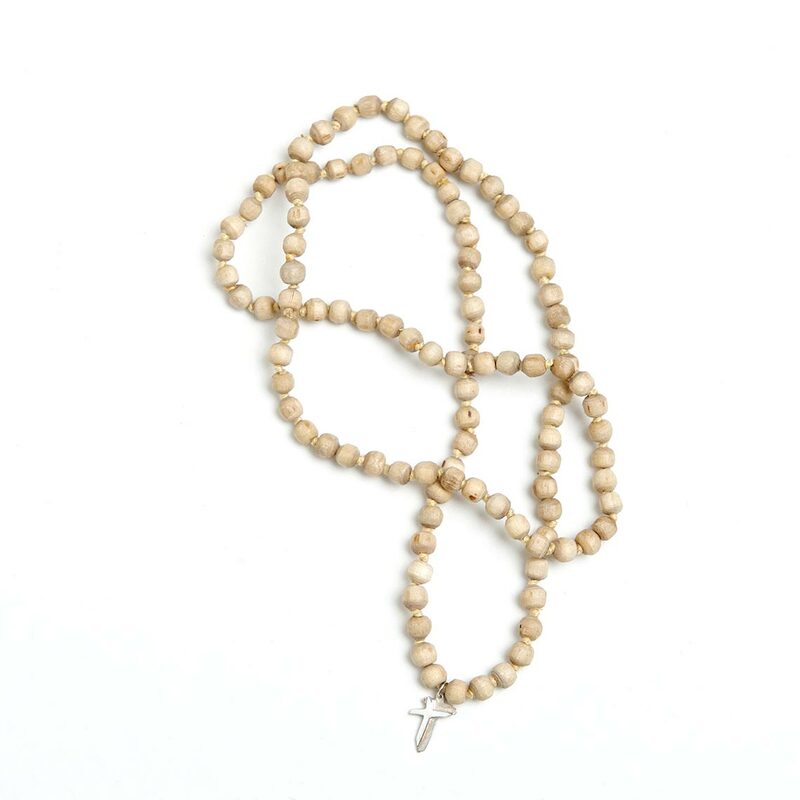 They have been used in prayer rituals for many centuries and have been known to last up to 8 generations. Many wearers find the seeds become a much loved part of their wardrobe. Buddha achieved enlightenment whilst sitting under the heart shaped leaves of a Bodhi tree and today Bodhi seeds are revered. According to scriptures, when people asked Buddha whom they should pay respect to when he was absent, he replied that they should respect the Bodhi tree. The tree is considered sacred and planted near all Buddhist monasteries. Tulsi is believed to the embodiment of the goddess Tulsi, the consort of Lord Vishnu. As the goddess of purity she is celebrated as the epitome of love and unity at Hindu weddings and you will find tulsi planted at the door of most Hindu homes. 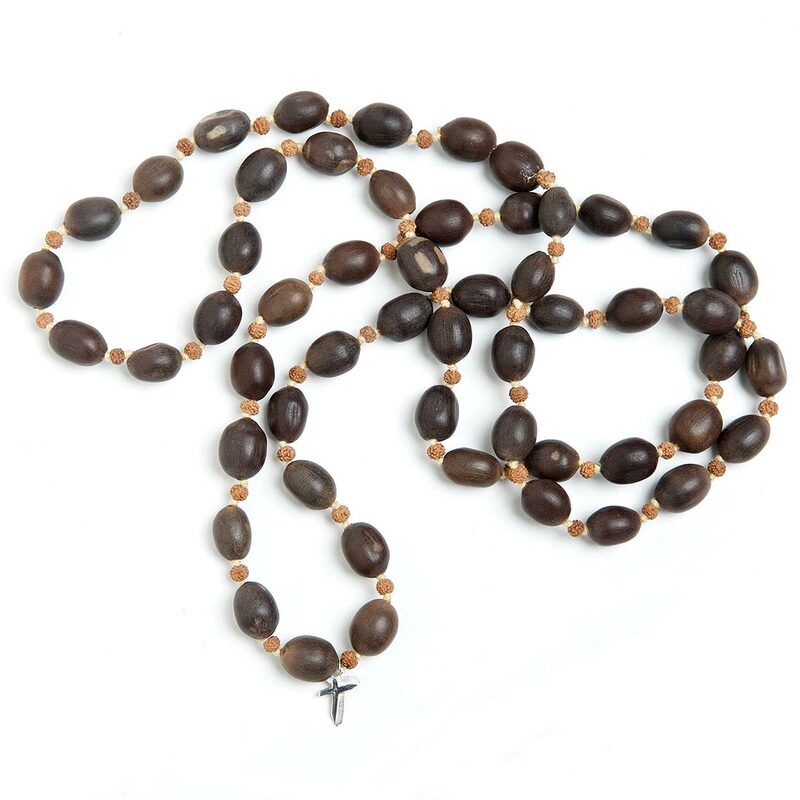 As well as having healing and medicinal properties, like calm and even demeanour, the seeds are considered to provide divine protection whilst purifying the mind, body and soul and maintaining good humour. Lotus seeds symbolise the humans spirits journey to evolve and attain a higher plane of existence. A Lotus plant must ascend through dense water whilst growing, before unfurling it’s luxurious blooms in the warm sun on the waters surface. It represents the human life journey from darkness to light. Much like life; no mud, no lotus. Whilst appearing fragile on the surface, the plant is flexible, strong and securely anchored under the surface.